After security inspections of Kuwait Airways by US officials and the implementation of new security measures for US-bound flights by Royal Jordanian, the two carriers were allowed to lift the ban on laptops. 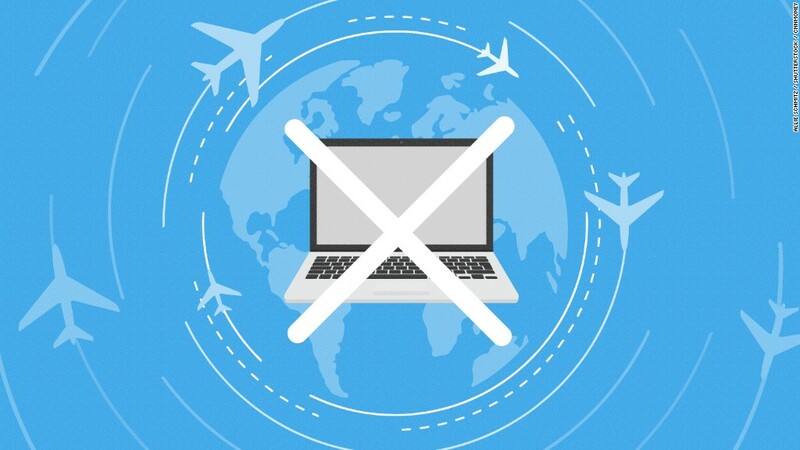 Back in March, the UK and US governments introduced a ban on taking laptops and tablets on planes as cabin baggage on flights from selected Middle East and North African Countries. The stated aim was to reduce the risk of concealed bombs being taken on board passenger aircraft. For the UK, the ban was set to cover all flights from 6 countries: Egypt, Turkey, Jordan, Saudi Arabia, Tunisia and Lebanon. This means that 14 airlines, including British Airways and Easyjet, have been affected by the ban. For the US, the ban has covered all flights from 8 countries: Turkey, Morocco, Jordan, Egypt, the United Arab Emirates, Qatar, Saudi Arabia and Kuwait, and the ban (up until now) has affected 9 airlines. The ban has been lifted for Kuwait Airways and Royal Jordanian after both carriers reportedly worked with US officials in tightening their security measures for flights from Kuwait and Jordan. Kuwait Airways flies from Kuwait to New York via Ireland, while Royal Jordanian flies to three US cities from Amman, Jordan. Last week, Etihad, Turkish Airlines, Emirates, and Qatar Airways became exempt from the ban. Meanwhile, airlines in Morocco, Egypt, and Saudi Arabia have not yet announced the lifting of the ban. Saudia, the flagship carrier of Saudi Arabia, has announced that, as from 9th July, passengers will be able to take personal electronic devices on flights bound for the US. Royal Air Maroc, the flagship carrier of Morocco, is reported to be confident that they too will be able to have the ban lifted on their flights out of Casablanca by the same date. Last month it was reported that the US Department of Homeland Security had announced plans for stricter passenger screening and other tougher security measures for all commercial flights entering the United States. The new rules look likely to affect around 2,000 flights a day from 280 airports in 105 countries. The rules have, however, fallen short of banning laptop computers and e-readers in carry-on luggage for all. It is believed that as well as screening laptops and other personal electronic devices, the new measures may include more vetting of travellers, more explosive-sniffing dogs, greater exchanging of terrorist watch lists, and putting more systems in place to prevent insider attacks (by airline employees). Although some airlines have enjoyed a relaxing of the rules, many are still being affected by the ban. For airline businesses, the continuation of the ban and the tightening of rules for the majority could hit profits by affecting passenger numbers, could increase baggage scanning and security costs (particularly at smaller airports), and could negatively affect customer satisfaction levels. For business travellers, the ban can mean lost time where work could be done e.g. on the laptop during flights. The ban can also mean the hassle of having to find other means of entertainment on long flights, and perhaps having to suffer more distractions from other passengers who cannot use their electronic devices e.g. children. For many travellers, the ban can mean greater disruption as a result of increased waiting times at security, and some commentators have also pointed out that there is the potential for electronic devices stored in the baggage hold to be damaged or lost, and this could have insurance implications. Other critics have also pointed out that forcing people to put laptops in cargo holds could pose other dangers because the lithium batteries could start fires. The recent general tightening of the rules for flights entering the US (at a particularly busy time of year) have been criticised too for not having a great enough degree of collaboration and coordination to avoid the operational disruptions and frustrating consequences that could result from them.